If you are looking for some great ski deals for a family holiday Bulgaria is a fantastic choice of destination. There are three main Bulgarian ski resorts - Bansko, Borovets and Pamporovo - all of which provide the ideal setting for a family holiday. Bulgaria is home to some smaller resorts too, which will be perfect for those of you who like to ski off the beaten track. 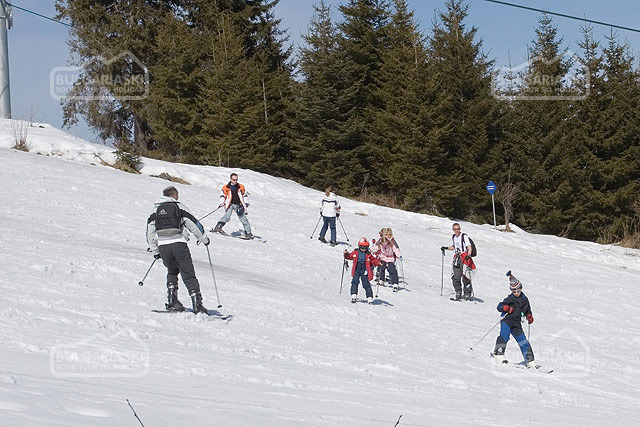 Discover the Bulgarian ski experience France, Switzerland and Austria may be more renowned for skiing holidays, but if you are looking for some great ski deals for a family holiday Bulgaria is a fantastic choice of destination. There are three main Bulgarian ski resorts - Bansko, Borovets and Pamporovo - all of which provide the ideal setting for a family holiday. Bulgaria is home to some smaller resorts too, which will be perfect for those of you who like to ski off the beaten track. When to go Snow is synonymous with Christmas, so you may like to head away on your skiing holiday late December time. Despite this time of year being traditionally busy, there are plenty of attractive ski deals that may convince you to choose Bulgaria for your vacation. Other times you may decide to head abroad to seek out the snow include new year, Easter or during school half-term - and you will find various ski deals on the internet for each of these holiday periods. Where to stay Bulgarian ski resorts come in all shapes and sizes, offering different packages to suit your needs. Places like Lucky Bansko Aparthotel and Kempinski Hotel Grand Arena are five-star residences and still great value in the heart of the popular Bansko region. You can book your stay at such luxury accommodation on a breakfast-only and half-board basis respectively. Both resorts are located in prime positions on the Pirin Mountain and provide visitors with a whole host of off-slope activities such as jacuzzi/hot tub facilities and refreshing indoor pools. It's absolutely ideal for family skiing holidays here, especially as they both offer kids clubs that keep the young ones entertained when they are not strutting their stuff on the snow. Self-catered accommodation For those of you who like to be a bit more independence when on holiday, there are a number of Bulgarian ski resorts that provide self-catering facilities. The Eagle's Nest hotel is located just ten minutes' walk away from the centre of Bansko, making it an ideal accommodation spot. Staying here will give you the opportunity to bring back food from the local shops, or - perhaps more appealingly - put you in close proximity to the wide variety of lively taverna-style restaurants that are conveniently located throughout the Bansko area. Comentarii despre Discover the Bulgarian ski experience.